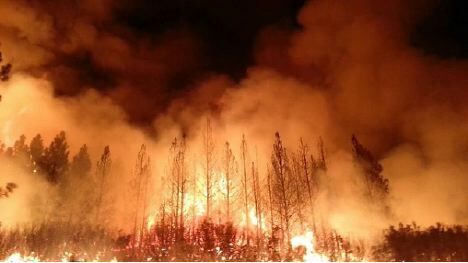 THE YOSEMITE 2013 RIM FIRE REVISITED: SUSTAINABLE DEVELOPMENT ? Only last week I passed through Yosemite National Park only to find, miles upon miles of blacked burned trees still standing, that were left over from the 2013 Rim Fire. The Rim Fire, like the “let it burn” Yellowstone Fire (1988) was a complete disaster, and I believe John Muir and President Teddy Roosevelt who together created Yosemite as America’s first National Park would be asking some tough questions of why preventative measures were never put into place to protect the most beautiful park in the world for future generations. The Rim fire, the third-largest blaze in recorded state history scorched more than 250,000 acres in and around Yosemite National Park. I was taken back while passing through the park and witnessed first hand the clean up “progress.” I was appalled by the lack of restoration, while at the same time I saw no conservation measures or tree planting even taking place, nor did I see “sustainable development” as an avenue to bring back the park to its natural form. As I travel around the country I’m asked the same question: What can we do—is there a chance of winning? I’m asked this question by women and men, by Republicans and Democrats, by Libertarians and Tea Party members, by young and old, by rural and urban residents. My answer is always the same. We can do a lot and yes, we will win. Now, that’s a powerful statement and has to be backed up with tactics or it’s just empty rhetoric. In this gathering today, in addressing you who are in leadership and organizing positions, it’s necessary to discuss strategy. A good idea acted on at the wrong time is wasted. An action with no follow-up is lost. An assertion without a solid grounding in facts destroys credibility. The shocking truth that we all deal with on a daily basis is that UN Agenda 21/Sustainable Development is the action plan to inventory and control all resources, both human and natural, all means of production, and all information in the world. Twenty years ago the Agenda for the 21st Century was agreed to by our government and then implemented through executive order in 1993. It hides in plain sight—masquerading as regional plans, climate action plans, as scenic byways, as smart meters, as domestic surveillance, as land trusts, as Outcome Based Education, as sustainable communities strategies, as public/private partnerships, as comprehensive or master or general plans. Because it is a stealth plan we are at a tremendous disadvantage in bringing it to the public’s awareness. 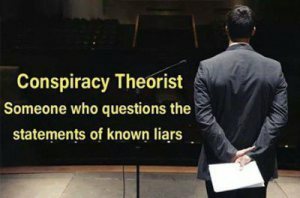 We are smeared in the media and in our neighborhoods, called conspiracy theorists, and disregarded. We’re subjected to a disinformation campaign that is Delphi’ing the entire world. Featuring Michael Shaw, Attorney, founder of Freedom Advocates.org, author, expert on all branches of Agenda 21 – “How Sustainable Development Destroys the Natural World” Assemblyman Tim Donnelly of the 59th District, San Bernardino, former… Read More Share this event on Facebook and Twitter We hope you can make it!